Transfer almost all files, including contacts, video, SMS, photos, call logs, music, Ebook and apps between phone to phone! 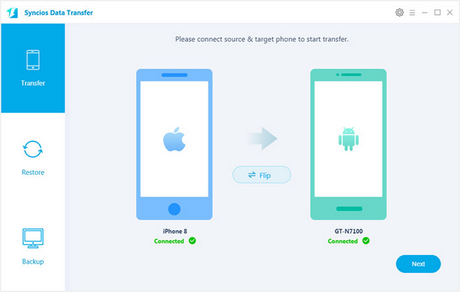 Transfer important files between Android and iOS. Selectively transfer data between any two of them without data loss. "Syncios Data Transfer backs up and restores to and from your computer all the important information and media files stored on your smart phone or any other Android device. The program will save in a folder on your PC any videos, images, contacts, apps, and even call logs stored on your phone or tablet without any quality loss." You can backup your phone to the PC first and then restore to any other supported phone whenever you want. Backup all iPhone or Android contents to computer in 1 Click, including contacts, sms, call logs, photos, videos, music, apps and more. Synchronize iDevice files to PC and restore any time. You are allowed to restore not only from Syncios backup, but also iTunes bakcup files and iCloud backup. Restore from Syncios Backup. You can backup your phone to the PC with Syncios first and then restore to any other supported phone whenever you want. Restore from iTunes/iCloud Backup. 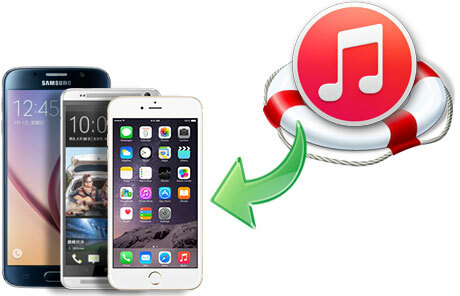 You can manage your iTunes/iCloud backups with Syncios Data Transfer. 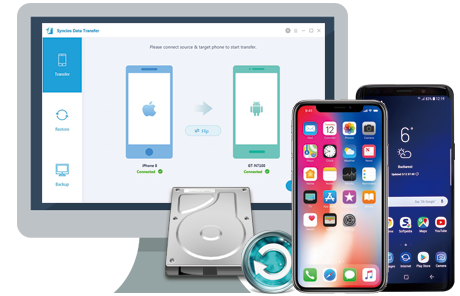 It not only allows to restore from iTunes backup easily, but also to retrieve iTunes backup and transfer contacts, text messages, photos, video, etc. from iTunes backup. 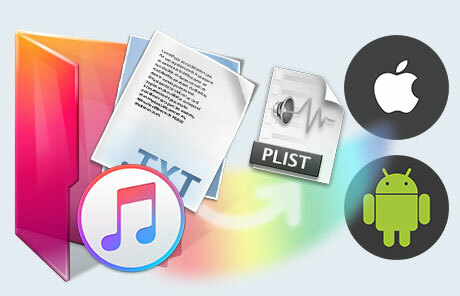 You can transfer songs and playlists from iTunes Library to an Android phones, all iPhone, iPad and iPod touch.